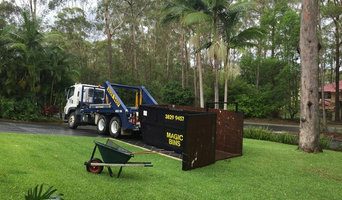 Magic Bins are a local family owned, operated, fully licensed and insured business providing Skip Bins in Brisbane since 2001. We service a very large area, supplying skip bins to businesses, residential and trade customers all over the Southside of Brisbane including Northern Gold Coast, Logan, Bayside, East Ipswich and parts of the Northside. Magic Bins have an extensive range of skip bins from 2 to 12m³ including options with doors for easy loading. We accept waste such as furniture, household items, green waste, shop fitout materials, heavy waste, clean fill, builders and renovation materials which can all be disposed of in the same skip bin. Asbestos skip bins are available in a separately lined bin as we are licensed to transport and dispose of asbestos as regulated waste. Our skip bin price includes everything, no added costs and we can generally deliver same day! We appreciate that virtually anyone can collect your rubbish, however service and customer care are our specialties. The difference is in the detail, and that is why we always go the extra mile to satisfy our customers. If you want a reliable, experienced, value for money service that you deserve, call a team you can trust…Magic Bins 3829 9457! 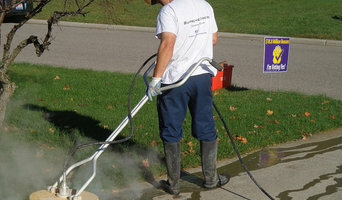 Capalaba Pressure Cleaning provides exterior house washing in Brisbane and beyond, including house washing, roof cleaning and washing, solar panel cleaning and washing, as well as gutter cleaning, fence and retaining wall cleaning, driveway cleaning and driveway pressure cleaning. Central to its purpose is also a mission to be the best cleaners and maintenance of the exterior of your residential area. We can come to you at Birkdale, Alexandra Hills, Capalaba, Wynnum, Carindale, Cannon Hill, Morningside, Bulimba, Mount Gravatt, Cleveland, Belmont and all across the Brisbane area. 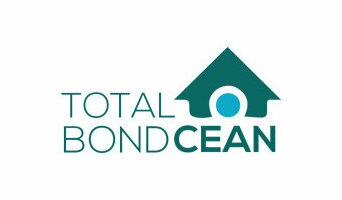 Licensed & Reliable Cleaners! We are a local business which provides a wide variety of domestic services, including: mattress & curtain cleaning, vacate cleaning, carpet & upholstery cleaning, routine housekeeping, oven and commercial cleaning. The Bio-Steam steam cleaner factory in Alexander Hills QLD manufactures a range of portable steam cleaners that use 175C dry vapour steam to ensure cleanliness and hygiene. Their industrial steam cleaner range is popular in the food-manufacturing, hospitality and healthcare sectors, while their commercial steam cleaning machines have proved their value in the contract cleaning industry too. This proudly Australian family owned steam cleaning equipment business manufactures a series of compact steam cleaning machines that perform enviably in most applications. Contact Bio Steam for an on-site demonstration of the time saving steam cleaners in action across Australia and New Zealand. Post Construction Cleaning in Brisbane done right. Builders Cleans Brisbane is about making your client go “WOW” at practical completion and handover. Builders Cleans Brisbane makes sure that after your hard work, the place is cleaned throughout and it sparkles and shines, highlighting your attention to detail. Builders Cleans Brisbane does only one thing – builders cleans in Brisbane … that’s it. On the whole, the Rubbish Removers are one of the longest running and most reliable services in the area of Brisbane. Having faithfully served customers for the past several years now, we strive to make our services as efficient and environmentally friendly as possible. We also happen to provide the service of recycling as well, plus the aspect of skip bin hire in brisbane has been one of our most common services as well. Some of our other services also include rubbish removal as well as garden and green waste removal to boot. Do give us a call. 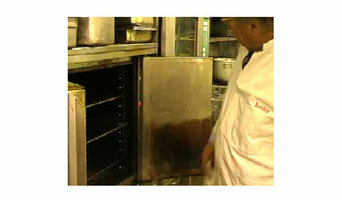 Looking for a supplier of quality commercial cleaning equipment? Alphaclean has you covered with their innovative cleaning equipment, which is designed to be energy and water efficient. They have a wide range of steam cleaners, floor polishers, floor scrubbers, floor sweepers and more, to effectively tackle cleaning jobs across a variety of industries. Get A Quote, Book And Pay Online, It's That Easy. Cheapa Skips has grown over the years to now offering skips all over Brisbane at very competitive prices. We have skips for hire that is just right for your requirements. Here at ThoroughClean we are constantly improving and expanding our tough range of Pressure Cleaners to offer our customers more choice. We are constantly adding to our product lines and you can rest assured that every item will have had to pass our stringent quality testing. We want your voice to be heard loud and clear when it comes to anything consumer-related, from saving money to choosing the best products and services for your family, and we're constantly on the lookout for dodgy or misleading practices that might stop you from getting the best deal. We supply quality high-pressure washer units in electric, petrol or diesel models. Zum Leistungsspektrum von Entsorgungsunternehmen gehört die Beseitigung von Sperrmüll oder Sondermüll. Sie organisieren die Bereitstellung und Abholung von Mietcontainern in Wooloowin, QLD, AU, in denen Abfall entsorgt werden kann. Ferner sind sie bei großflächigen Entrümpelungen von Gärten oder Garagen aktiv und haben dafür auch die passenden Maschinen, etwa kleine Bagger parat. Mit Ihrer Arbeit schaffen sie die Voraussetzungen, das neue Gebäude entstehen oder Teilbereiche eines Hauses saniert werden können. Durch die fachgerechte Beseitigung der Abraumhalden, die Bereitstellung und Abholung von Containern und die Entsorgung der Bauabfälle leisten diese Entsorgungsbetriebe in Wooloowin, QLD, AU einen wichtigen Beitrag zum Umweltschutz. Wie teuer ist ein Containerdienst in Wooloowin, QLD, AU? Verfeinern Sie Ihre Suche auf der Experten-Seite gezielt nach Abriss- und Entsorgungsfirmen in Wooloowin, QLD, AU. Durchstöbern Sie die Firmenprofile und lesen Sie die Kundenbewertungen, um einen Eindruck von der Arbeit des Entsorgungsbetriebs zu gewinnen. Kontaktieren Sie dann Ihren Wunsch-Anbieter, um weitere Infos zum Containerdienst und der Bauschuttentsorgung in Wooloowin, QLD, AU zu erhalten.